Some Girls Cannot Go To School Now! April 12, 2019 / nicole.yuan / Comments Off on Some Girls Cannot Go To School Now! This is my feature article, it’s about girls’ education, and many girls cannot go to school because of Pakistan, thank you for reading!!!!!!! This cranky contraption is about 2 children sitting on this turning seesaw ––– it turns in a circle, it will be really dizzy. So it’s basically is me imagine myself and my small brother riding this turning seesaw happily but dizzy. My biggest success is making the 2 children, I got to go to google, search animation children because I want to make it cute and small. My biggest challenge is to make the metal thing attached with the wooden stick because I got to first make the metal thing bend, then I need to stick the metal thing and the wooden stick with the hot glue. I choose this for OneDay, because I like the taste of Jianbing, it’s also because I’m Chinese, and Jianbing is an Chinese traditional food. One Day is important, because One Day can let us try new things, and you also can do what you’re interested, what you want to do. I did well on making the video, because I made many slides in the iMovie, and I chose the music. I learn that when recording the video, I need to know that I need to finish the video quickly, otherwise there’s many scenes about nothing. 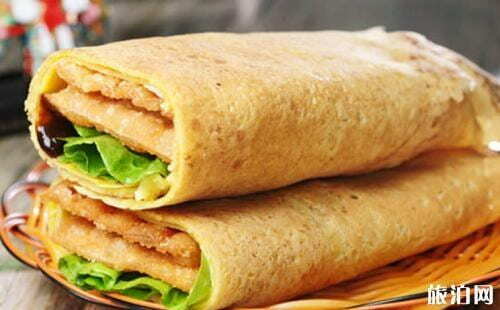 Editing the iMovie is the challenge part, because I got to cut some part in the video… We are going to interview the Jianbing makers, and we are also going to ask them seven questions about what they do with Jianbing. There’s a video under the picture. This is my thinglink project about early humans and modern humans, it’s about early humans and modern humans’ life, and it includes how early humans survive, like the weapons they use, how did they eat, and how did they cook, it also includes the development of diet in modern humans’ life, like microwaves, fast food, and coal gas… And, it also includes that diet is a very important thing in our life, if we don’t have diet, it will be very hard to survive in the world. This is my I Am From poem. Thank you!! !